Lock in a great price for Hotel Lido – rated 8.2 by recent guests! Staff are helpful, good location. 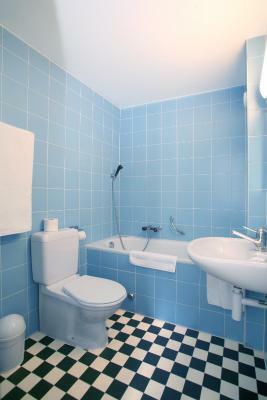 The building seems old but the room/ bathroom is big and very comfortable. For people bringing Asian parents who are used to Asian food: many Asian restaurants near the hotel. The location is near to the train station, room view is good. 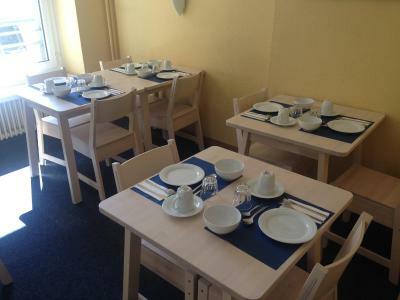 Very clean, the man at the reception is gentle and helpful, perfect location 3 mins away from the train station, and very close to the bus station (flixbus) as well. Walking distance to the main places in Geneva. Recommended. Great location, affordable, good set up for 3 travelers together. The room had an extra twin around the corner which would be great when traveling with a child or a third person. The room size was nice. The front desk staff was very helpful. We were in walking distance to the Tourist Bureau, the lake and many shopping and restaurants. - The staff is very warm (but again it's Switzerland! People are really nice!) - The location - The internet - Good value for money, clean, comfortable. Hotel Lido This rating is a reflection of how the property compares to the industry standard when it comes to price, facilities and services available. It's based on a self-evaluation by the property. Use this rating to help choose your stay! The Hotel Lido benefits from a privileged location right in the heart of the Geneva, 1,000 feet from the Cornavin Train Station and the shores of Lake Geneva and a 10-minute walk from the Old Town. Free WiFi is available in all rooms. 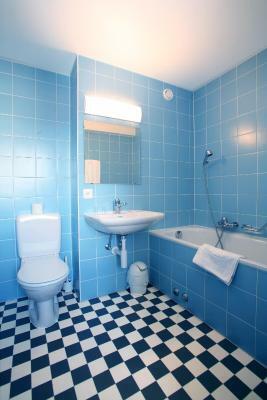 All rooms are soundproofed and feature an LCD TV and a private bathroom. 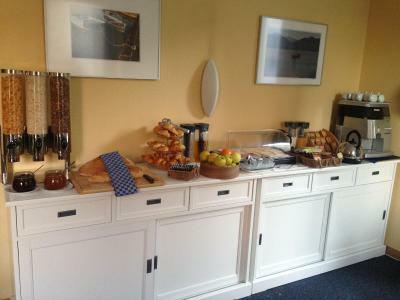 A buffet breakfast is offered every morning except for Sundays. The hotel offers special rates for parking at the train station public car park. 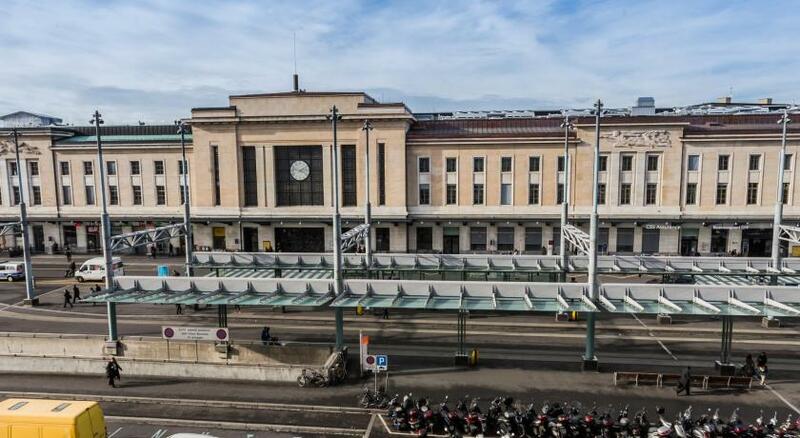 The Geneva Transport Card valid for the entire stay is provided free of charge. 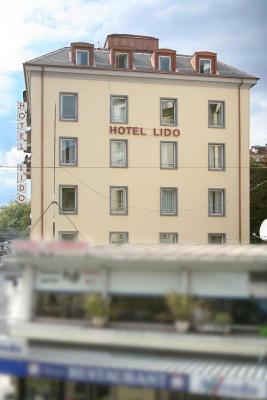 When would you like to stay at Hotel Lido? Rooms with a flat-screen TV and a bathroom. House Rules Hotel Lido takes special requests – add in the next step! Hotel Lido accepts these cards and reserves the right to temporarily hold an amount prior to arrival. Please note that breakfast will not be available from 27 July until 26 August 2019. If you are making a prepayment, the credit card used must be presented on arrival. If the credit card can not be presented, the hotel will refund the credit card used and payment will have to be made in cash at reception. When booking, the total amount of the reservation will be reserved on your credit card. This will either be charged or canceled on the day of departure. The soundproof is not very good and we can hear people walking in the hallway and upstairs. The location is superb. The hotel offers free transport in Geneva. The staff is very friendly. The room is free from the noise outside. Great value for money. Location was good, a walking distance to the central railway station and also the lake. The staff were helpful, and were there for late night check in. They gave free local transport tickets. Comfortable stay overall. Pillows were so soft that it was like there were none. Room was quite hot. Quite old hotel a renovation is needed for sure. There is no refrigerator, breakfast is not included in price . Although services are provided satisfactory i cannot say its value for money.Rather expensive i would say. Nice location comfortable room spacious personnel very polite, they offered us early check in location is very nice and quiet. Pleanty of hot water during the day , heating bery good . The room was quite old. We stayed in the room that look like attic. Overall staff is nice. The place is pretty decent to stay in and its not too small. The ckeck in was fast and the staff gave us free travel card that can be use for trains, tram, buses and free museum entrances. The best part of this hotel would be the location. It's super close to the main station and very easy to go around. 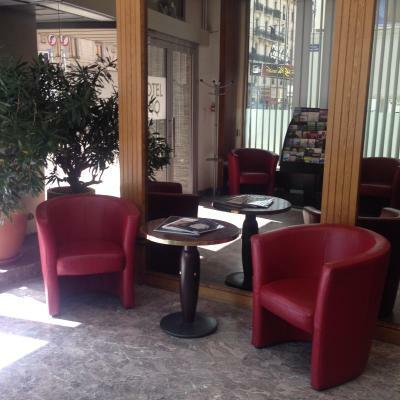 Hotel near Geneve lake, great location and overall value for money. We liked everything, only the heating was on, and it was a little bit hot. Everything was great. The location is perfect. Right between the railway station and the lake. Charging for electricity devices is not convenient. The power outlet at the toilet does not have sufficient space for it and another one is underneath the table. Room is also a bit dark. Room looks very Europen at at attic floo with nice street view.